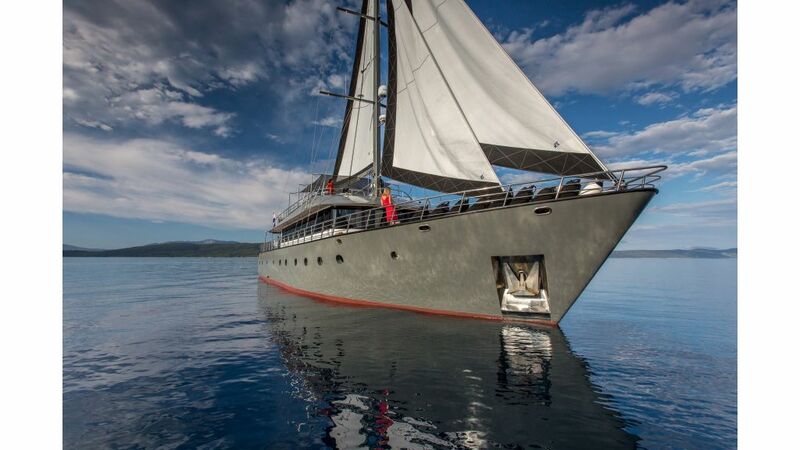 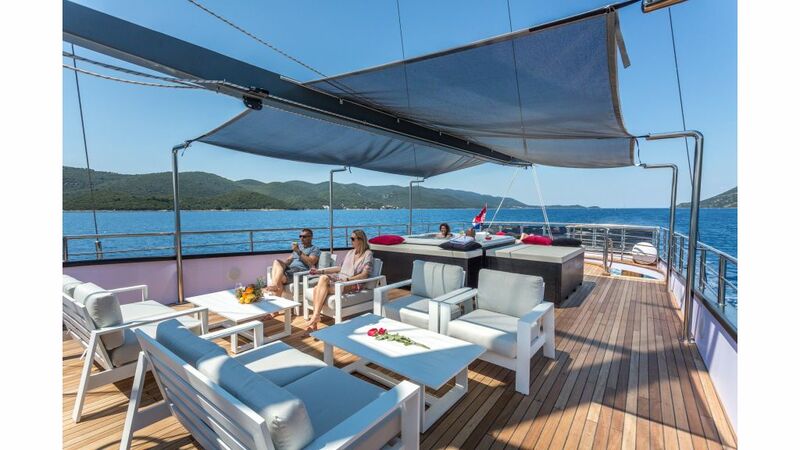 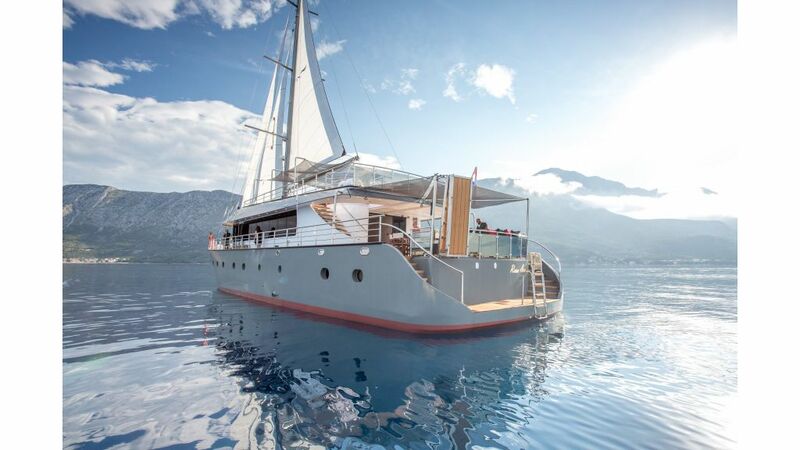 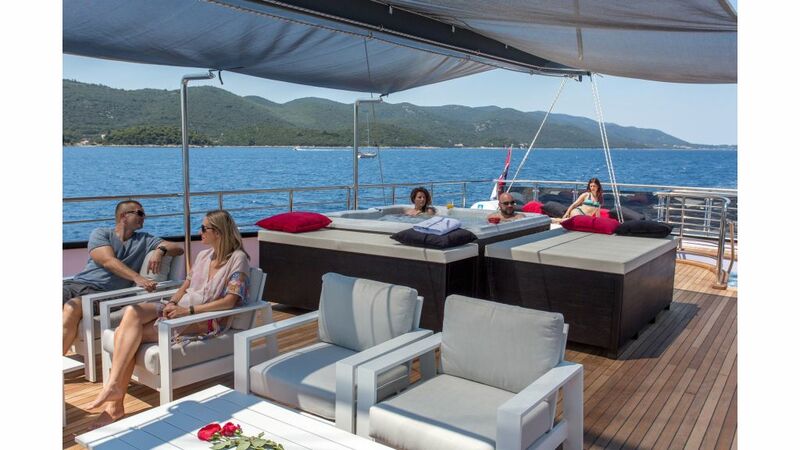 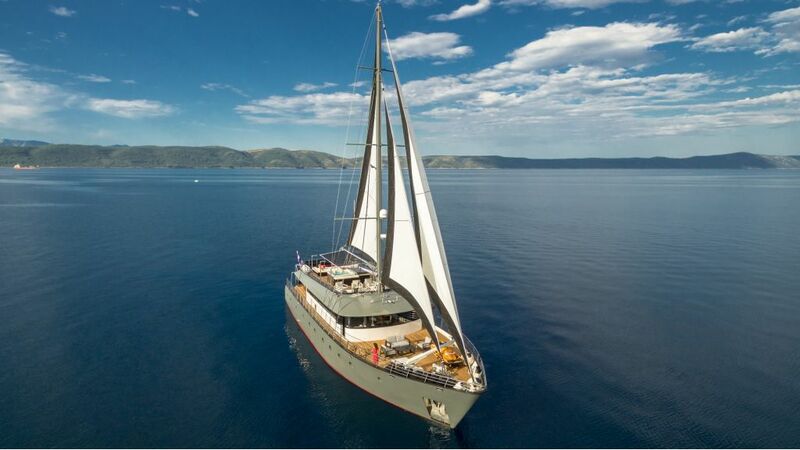 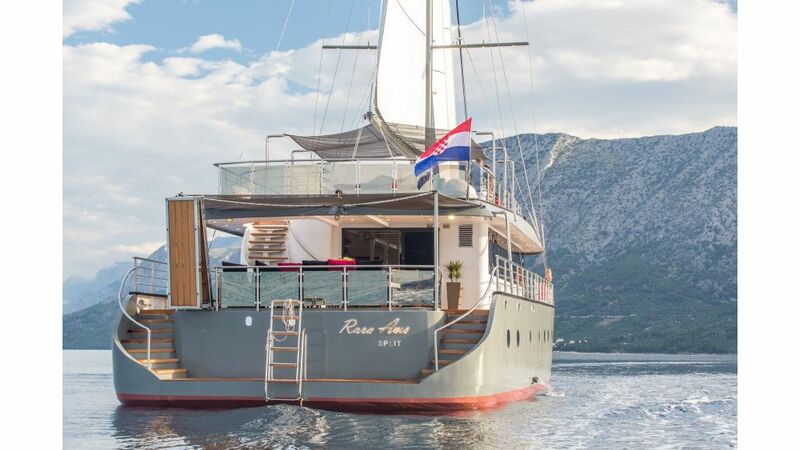 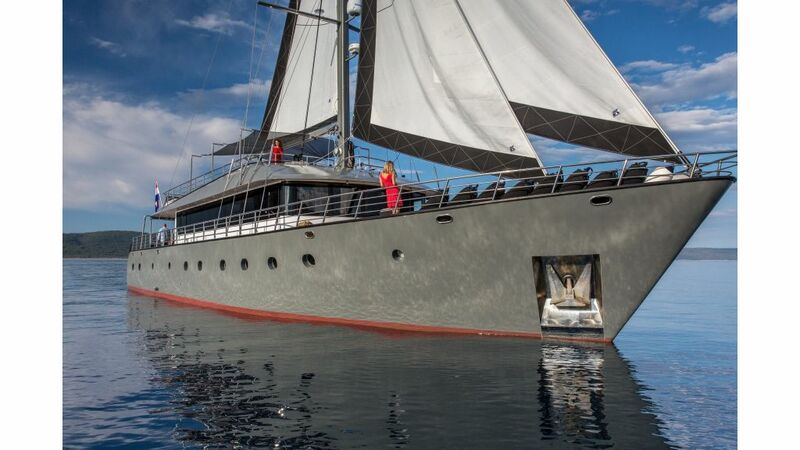 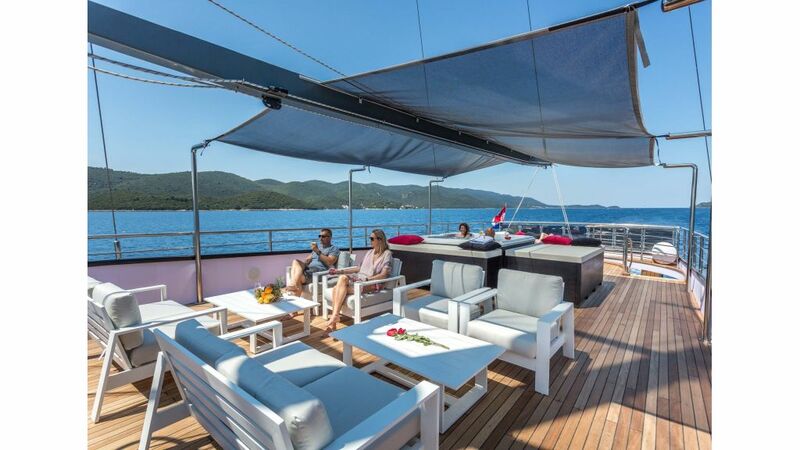 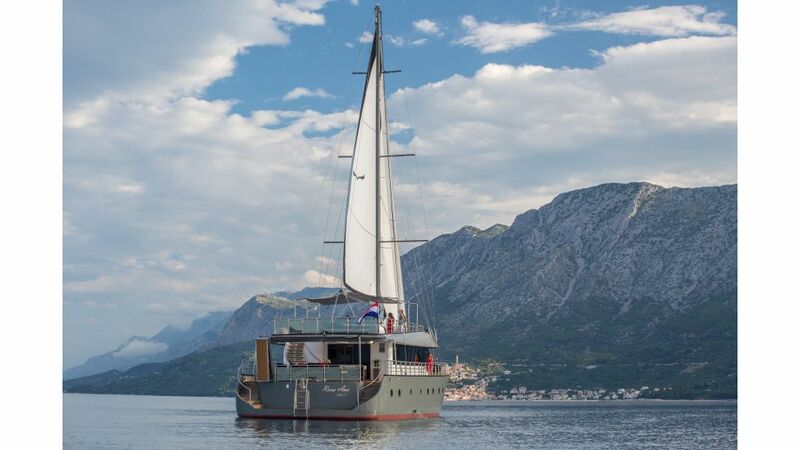 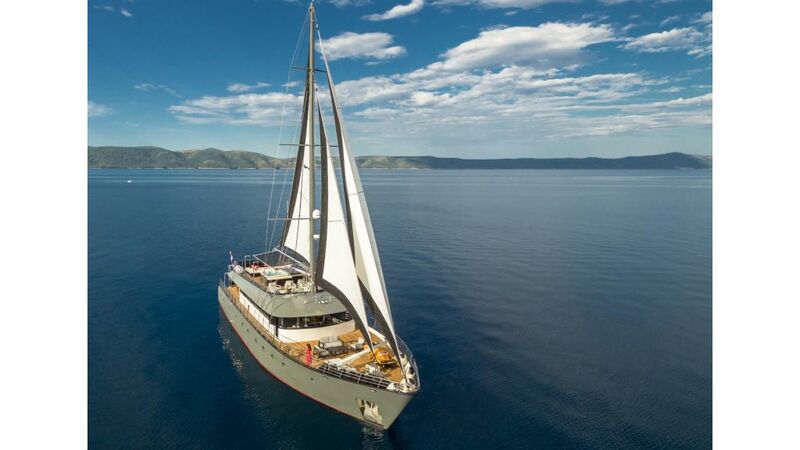 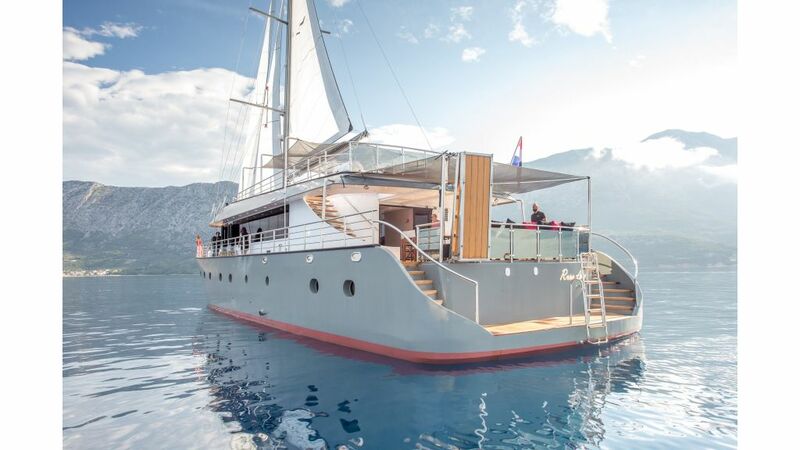 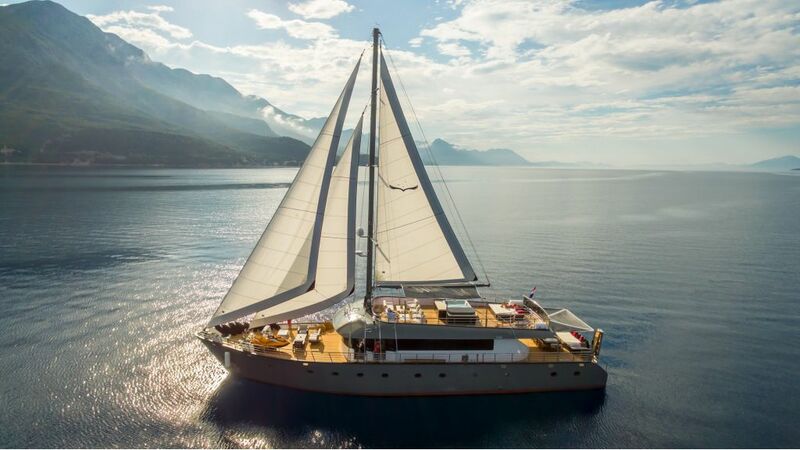 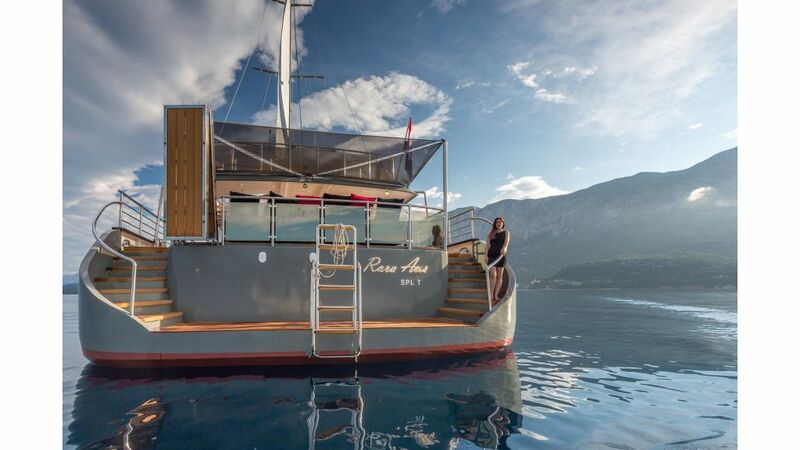 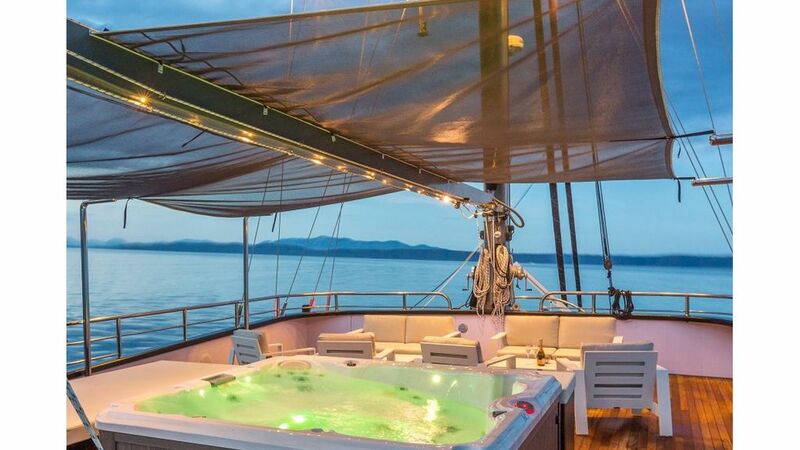 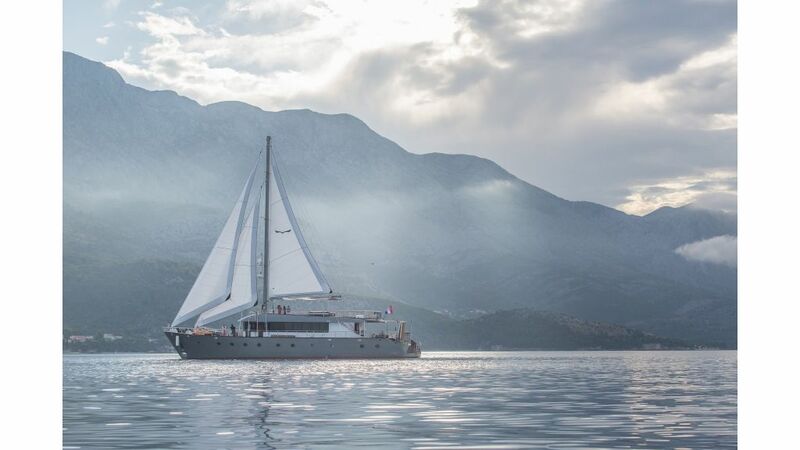 Luxury sailing Gulet Rara Avis is the newest Gulet in Split / Croatia. 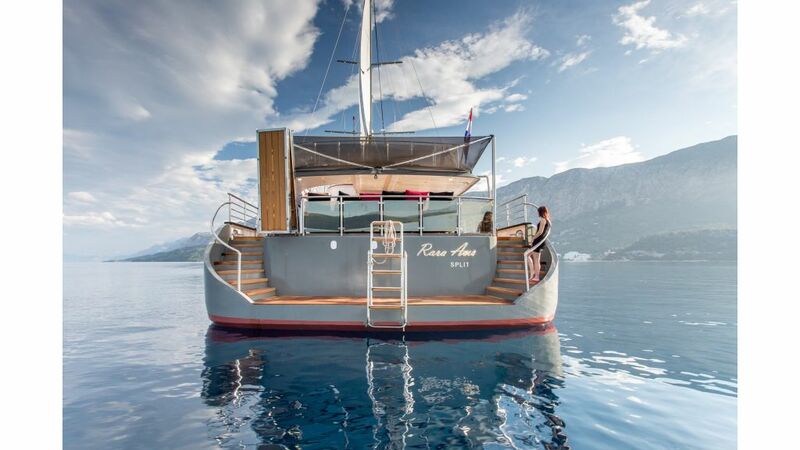 33m of pure luxury gulet Rara Avis owner is member of a family that has been working with yacht for decades, and for last more than 20 years in nautical tourism. 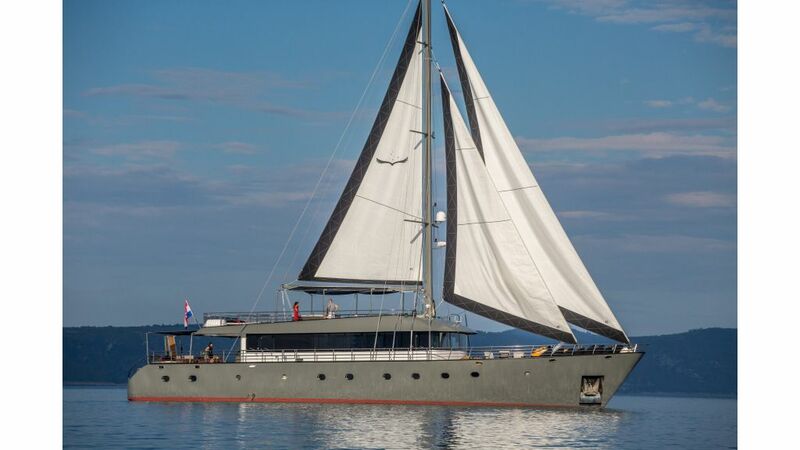 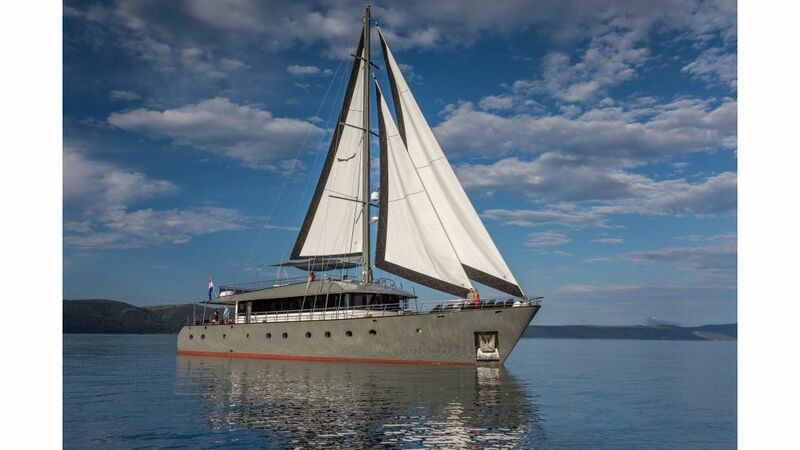 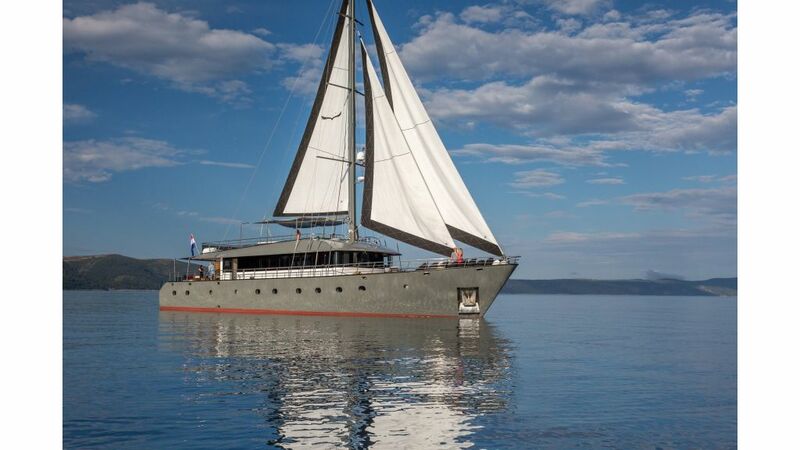 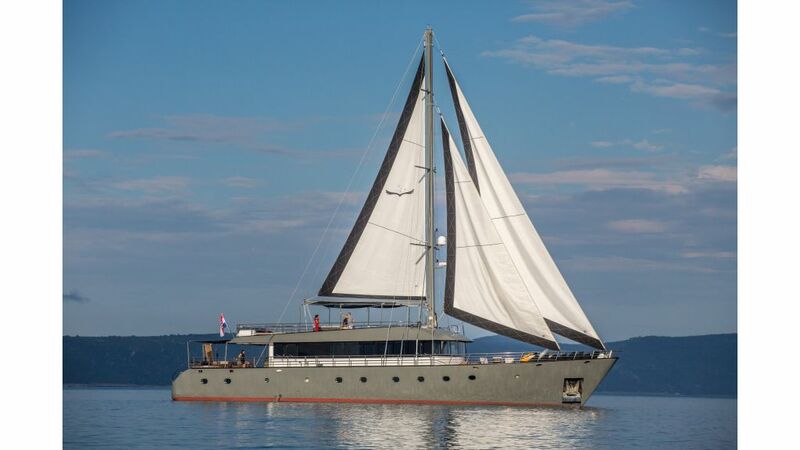 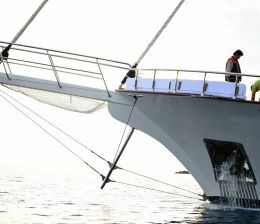 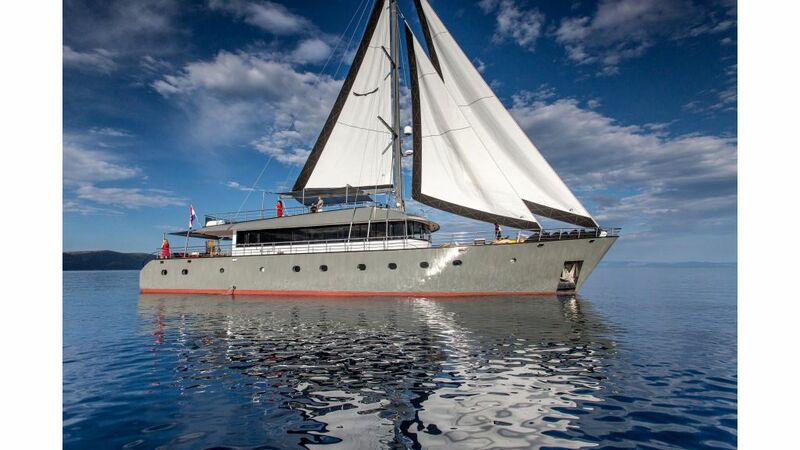 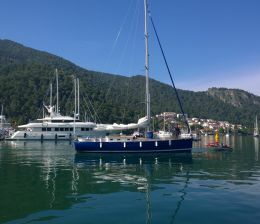 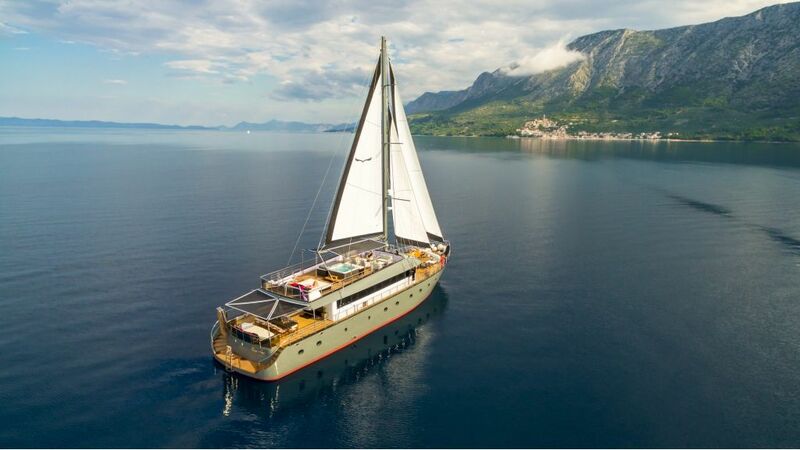 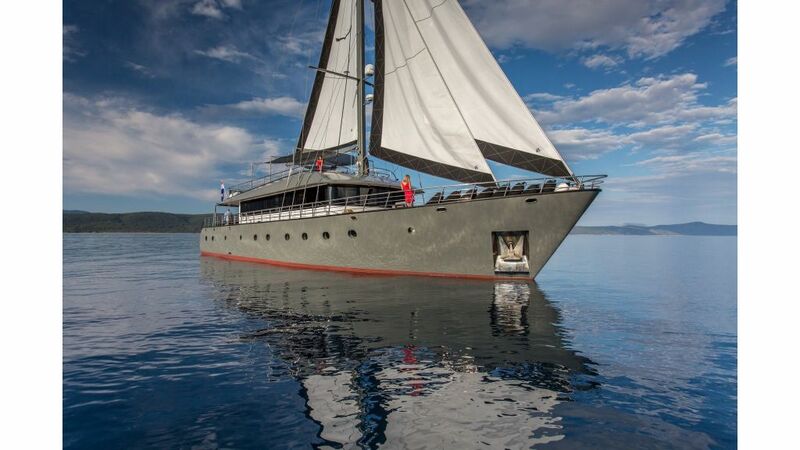 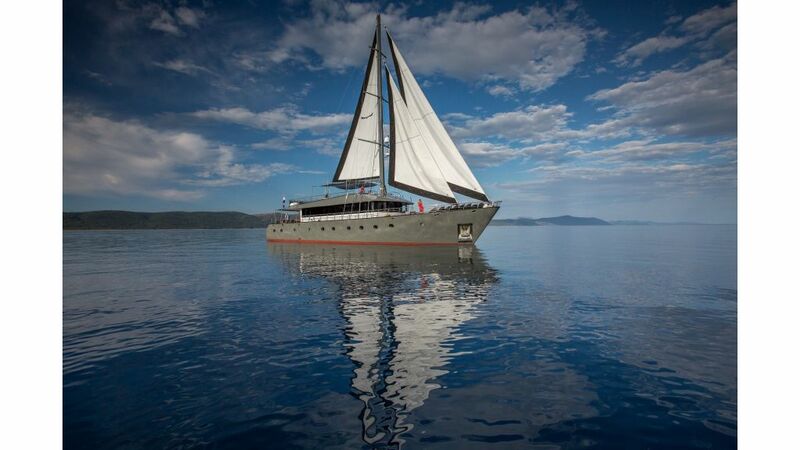 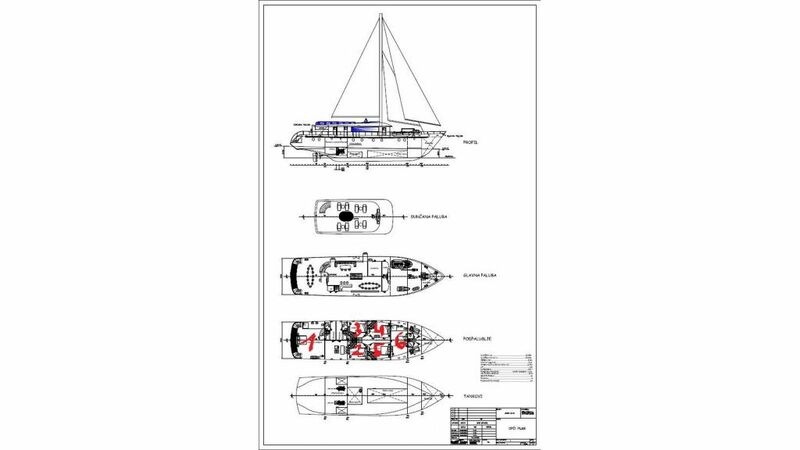 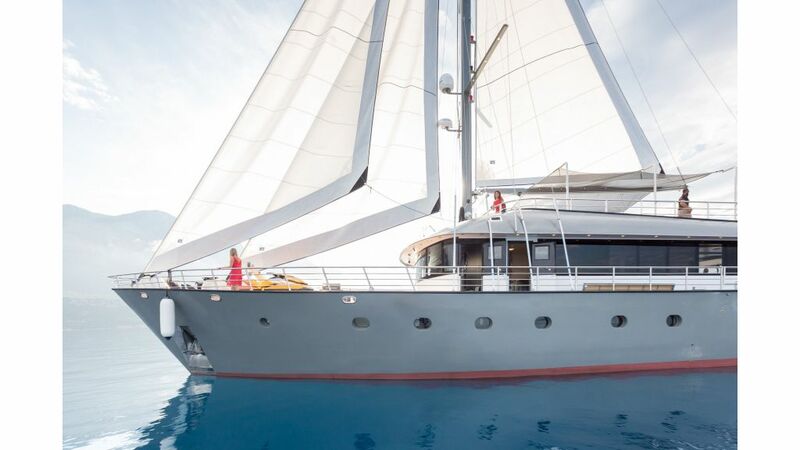 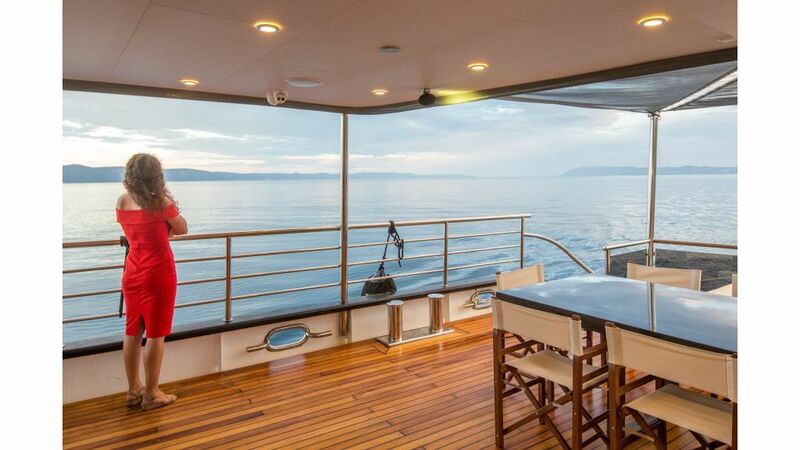 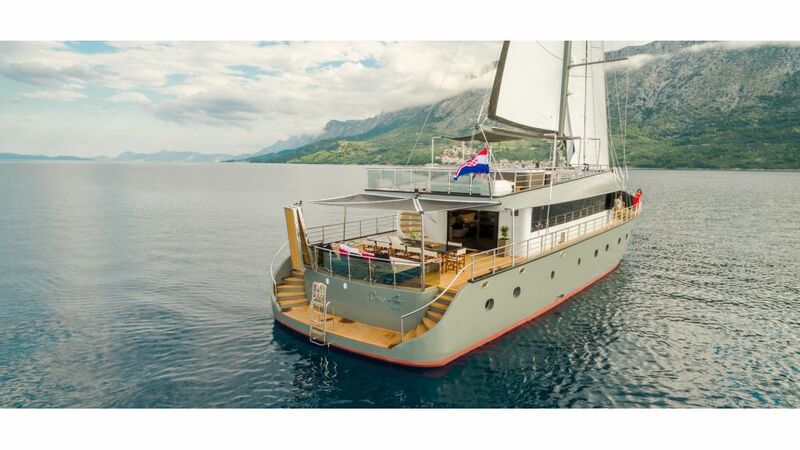 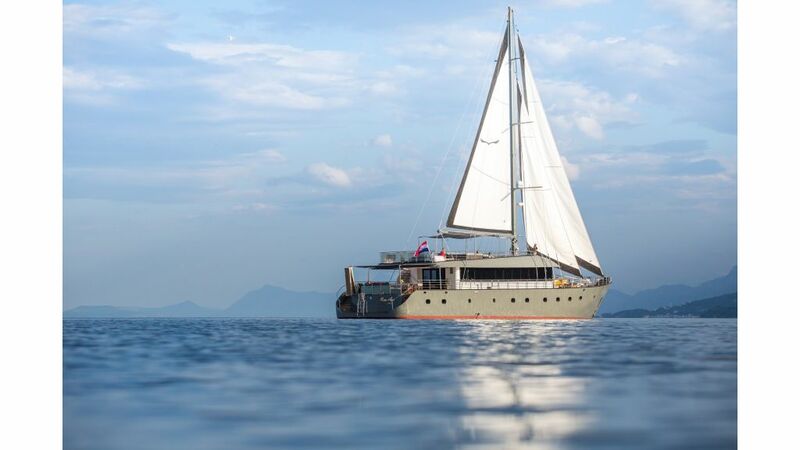 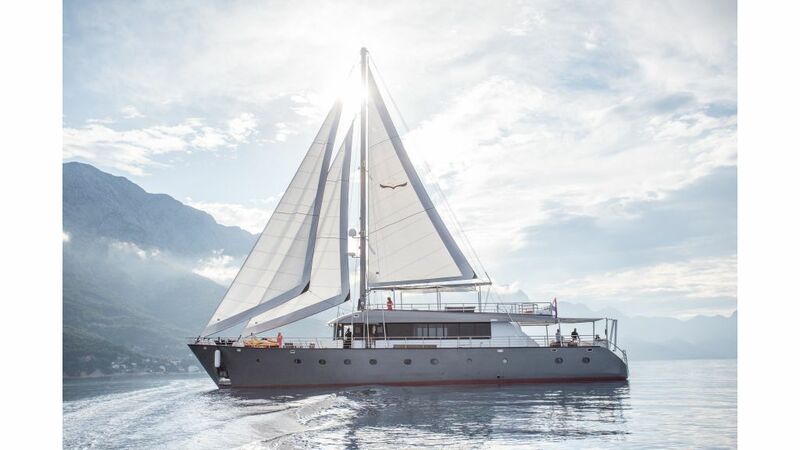 Apart from Rara Avis, owner has several reputable small cruise sailing yacht. 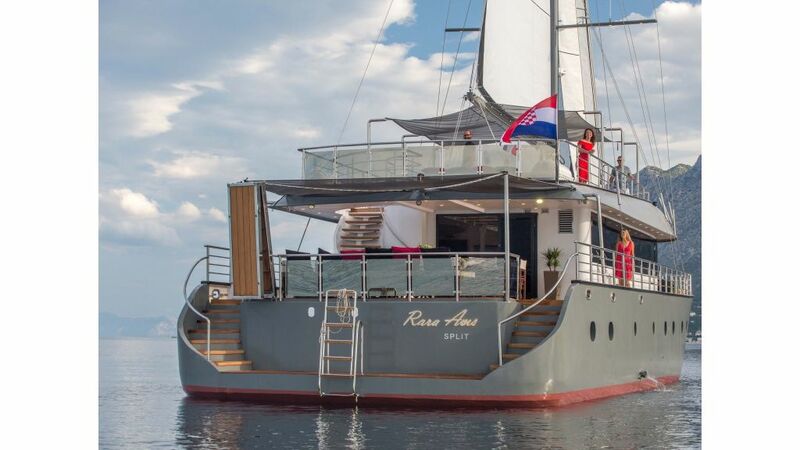 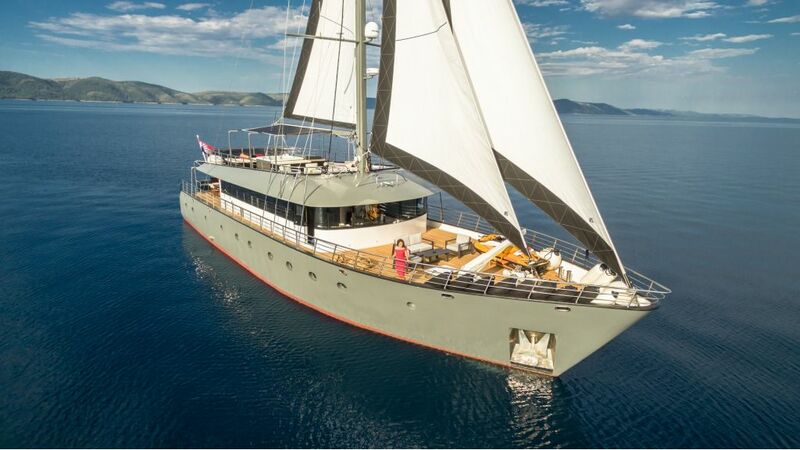 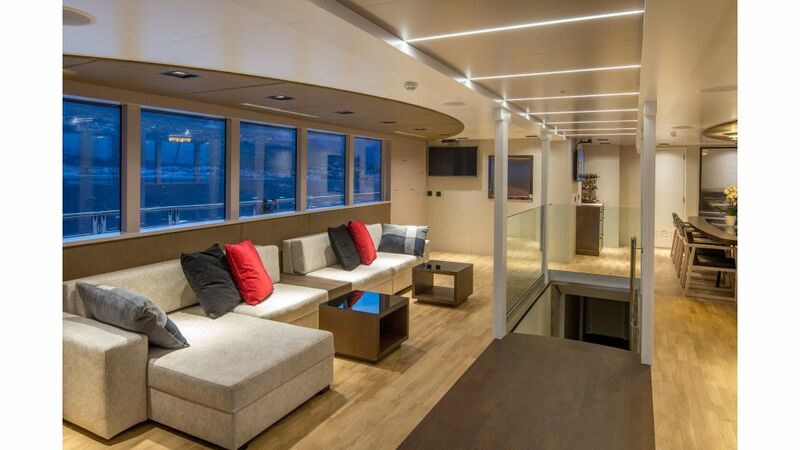 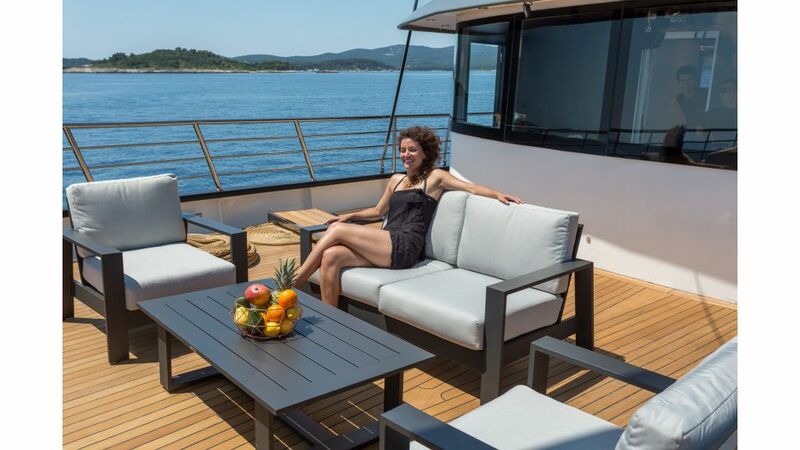 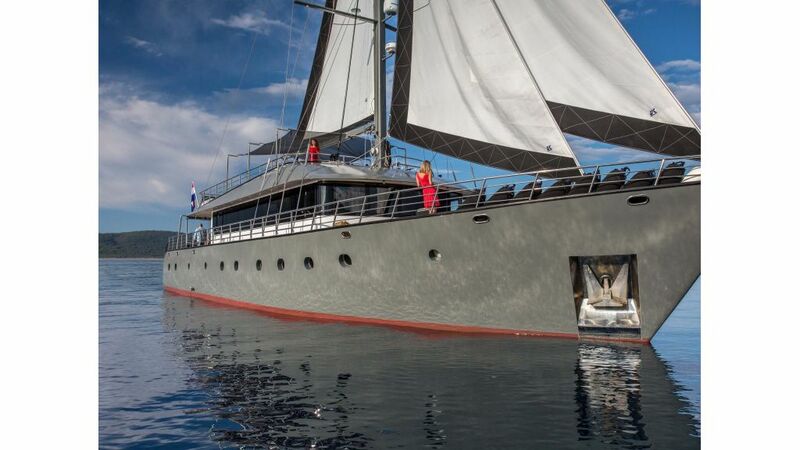 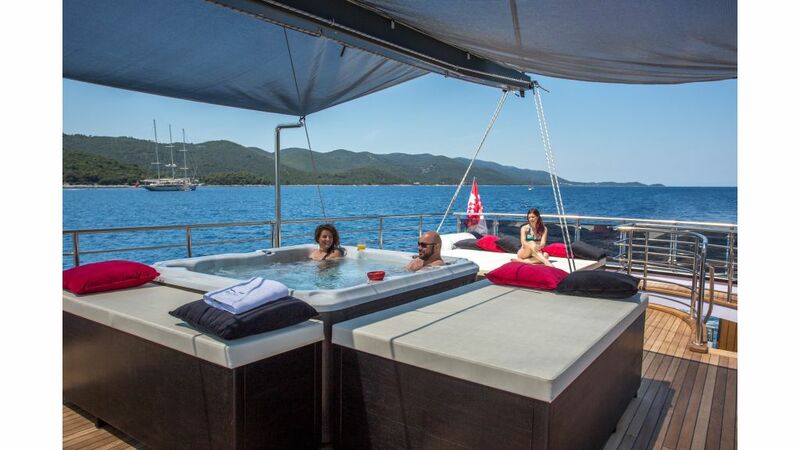 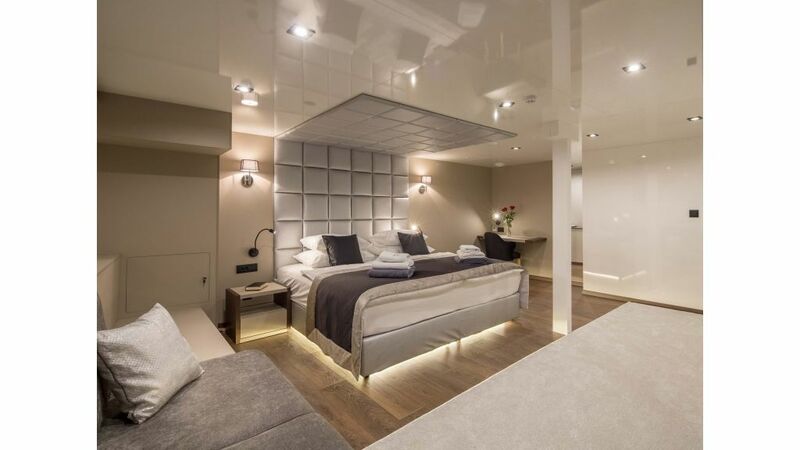 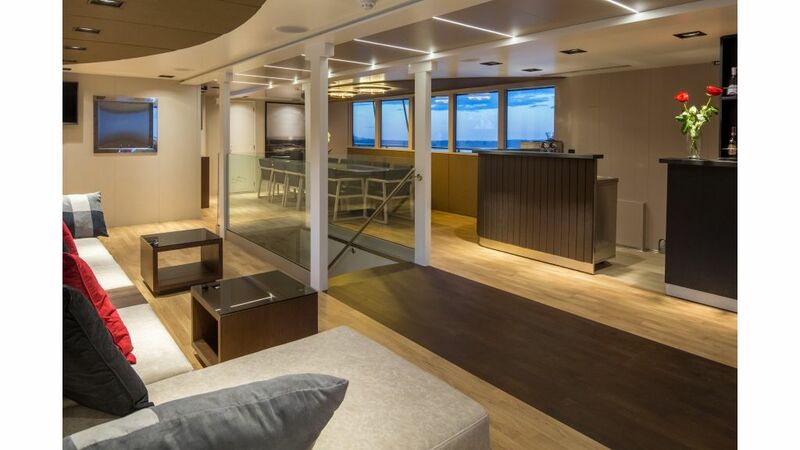 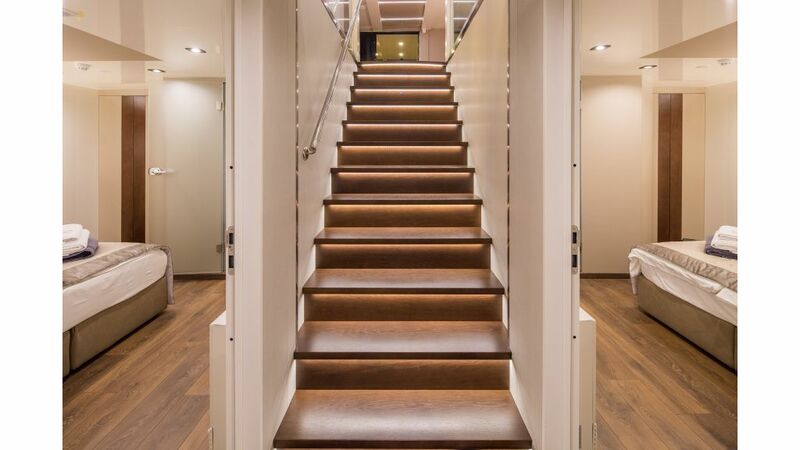 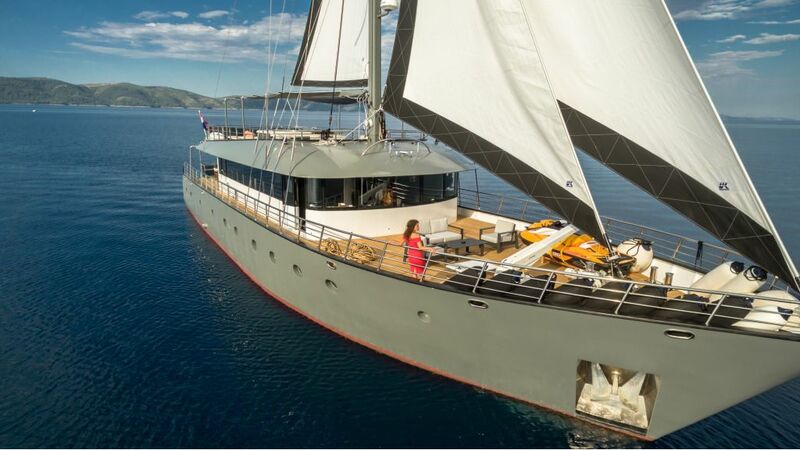 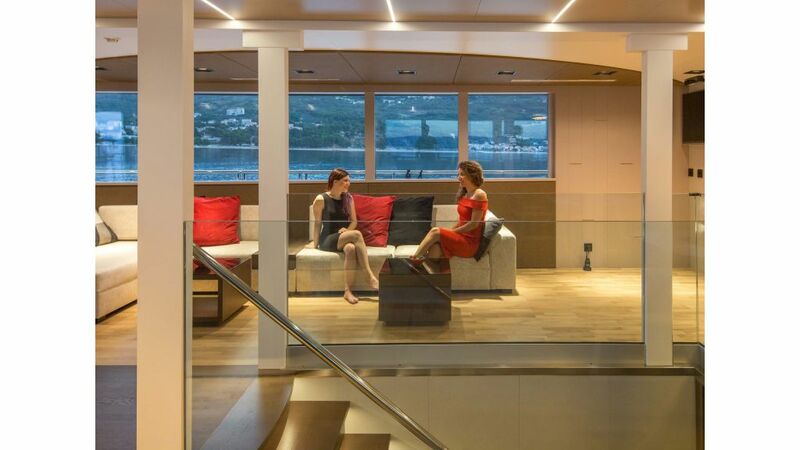 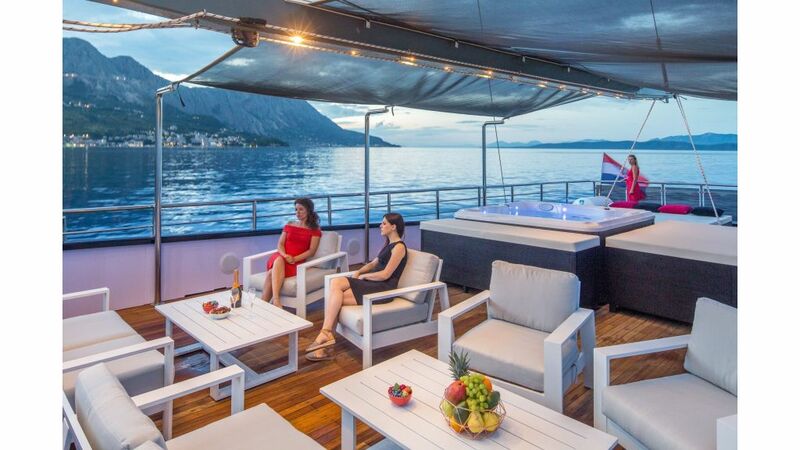 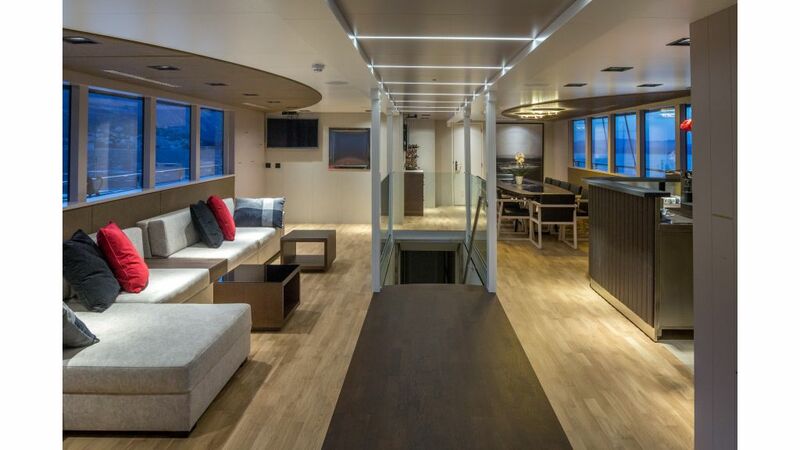 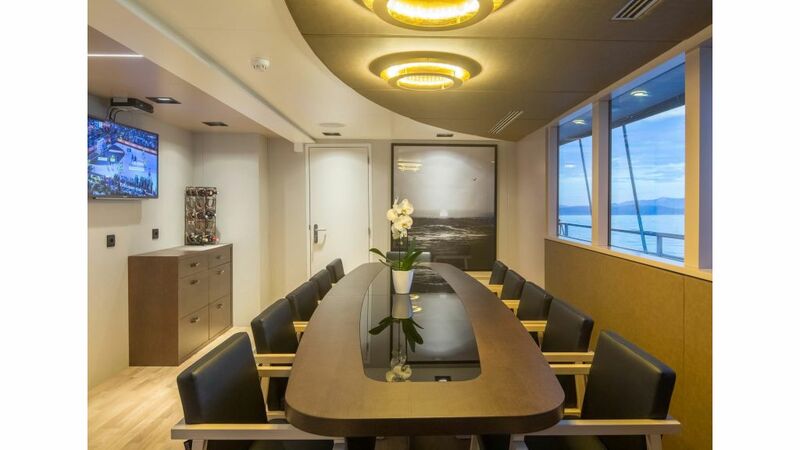 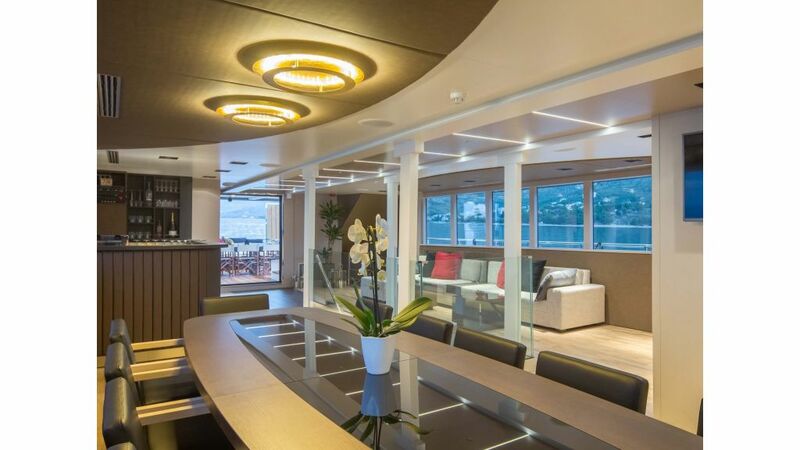 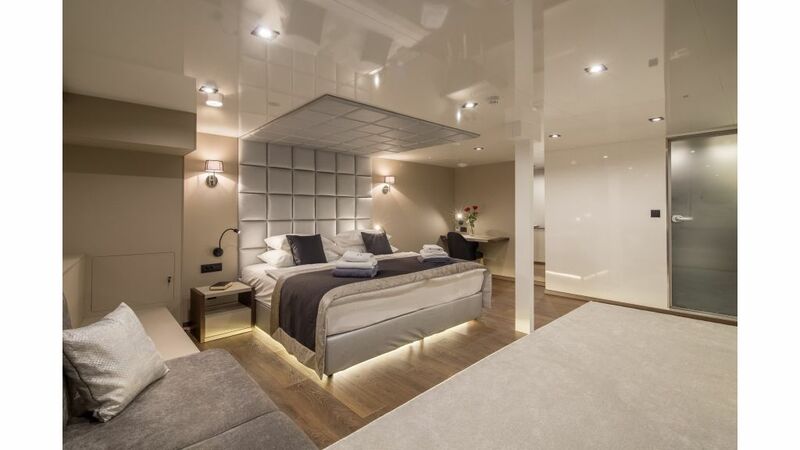 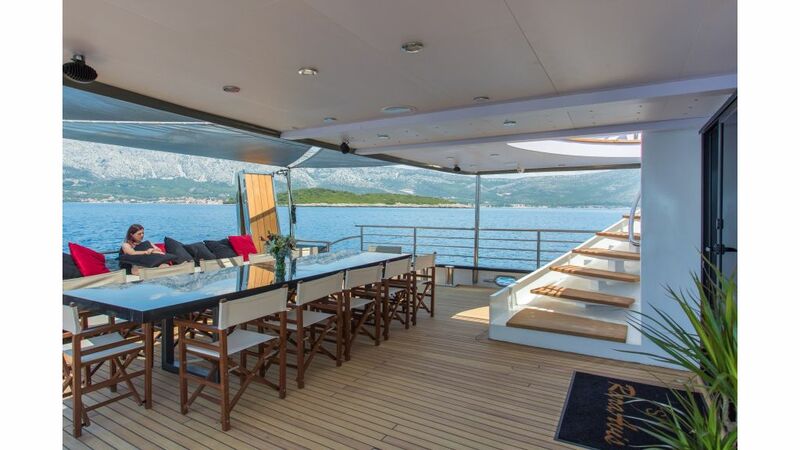 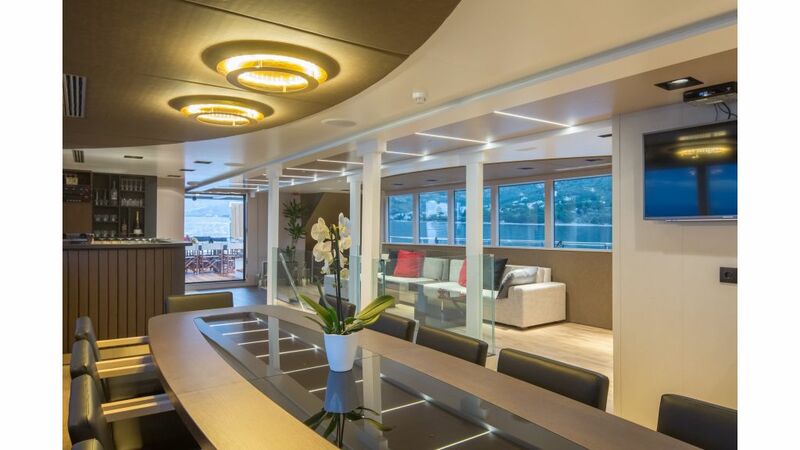 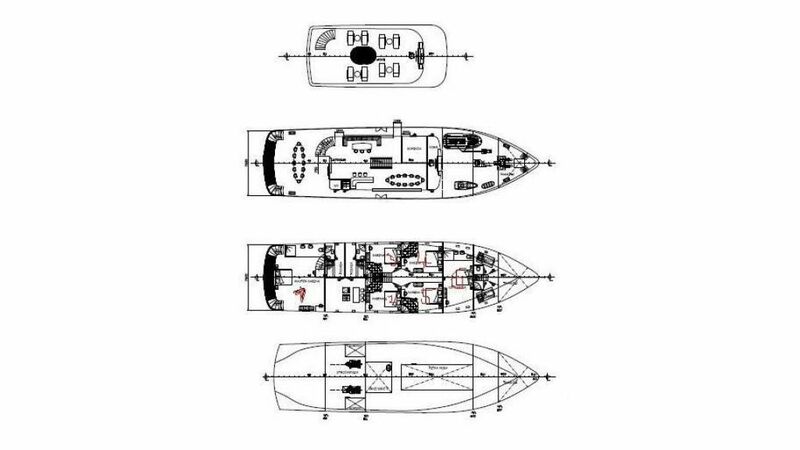 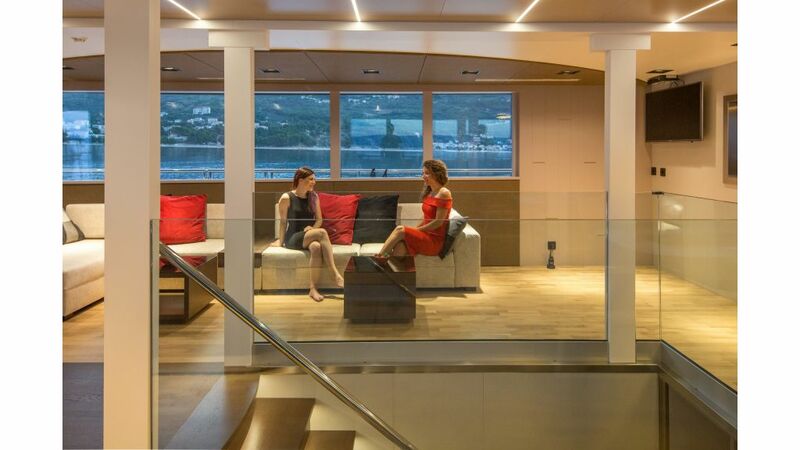 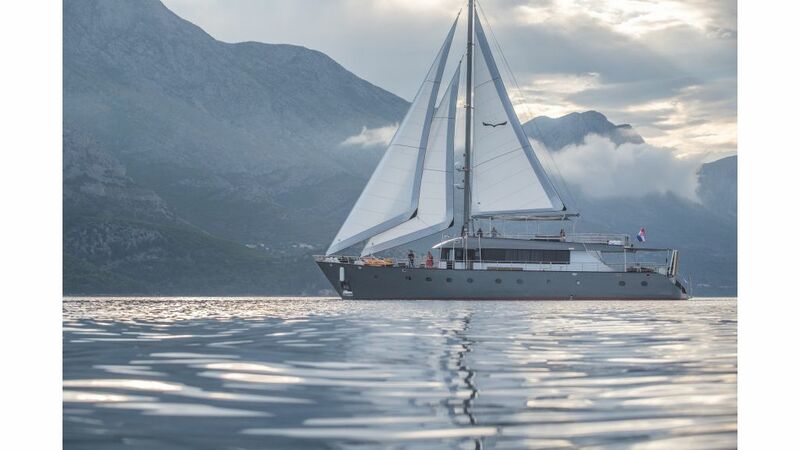 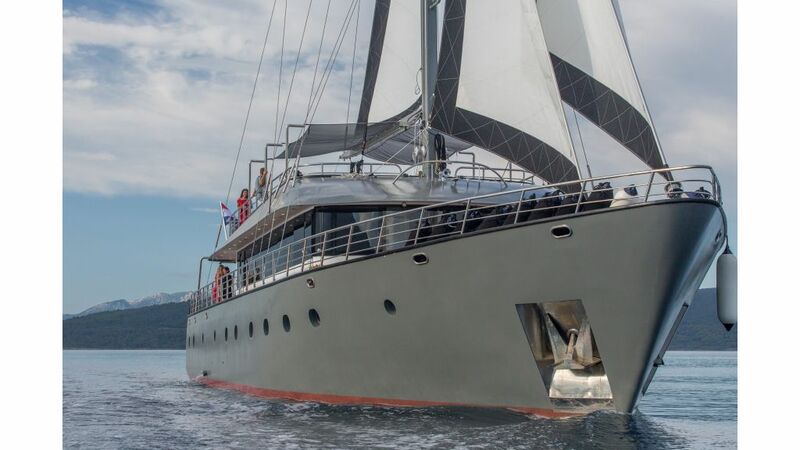 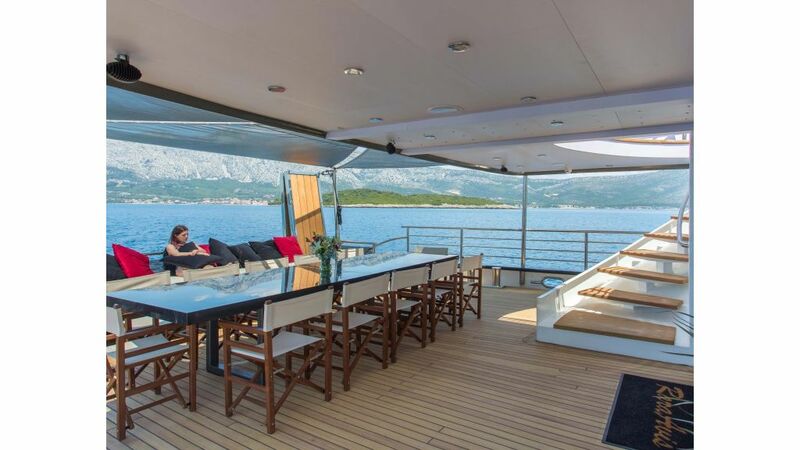 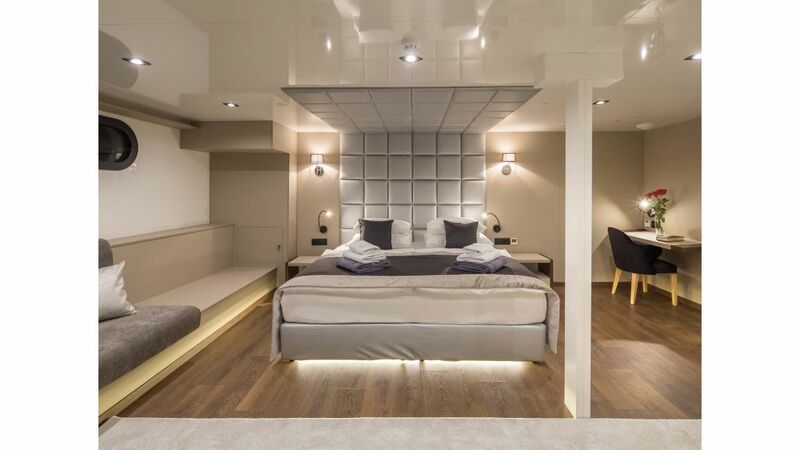 It’s worth to mention that this motorsailer yacht was designed and built in Croatia. 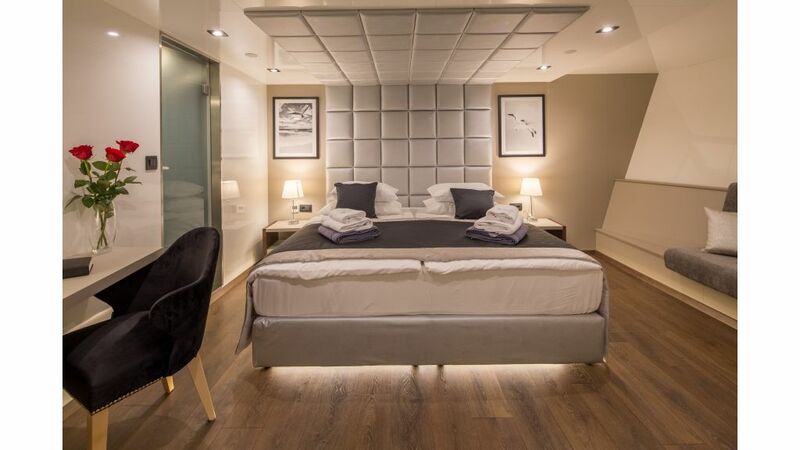 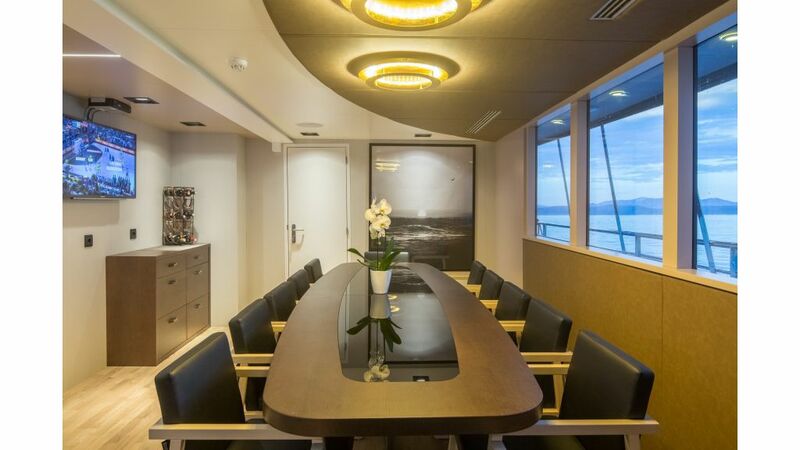 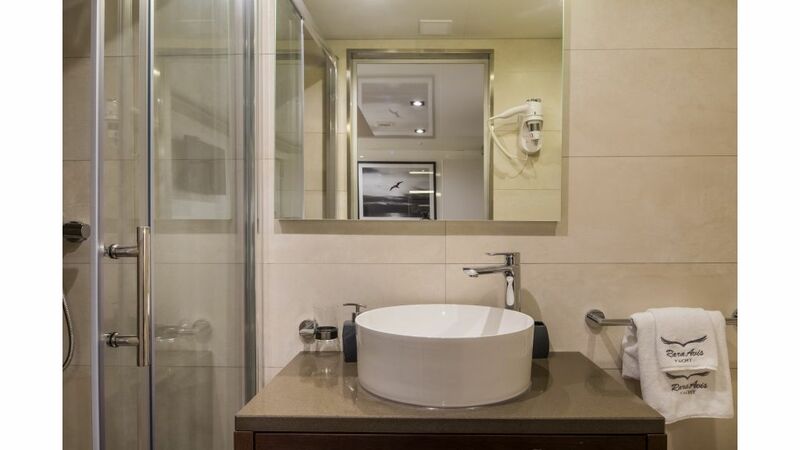 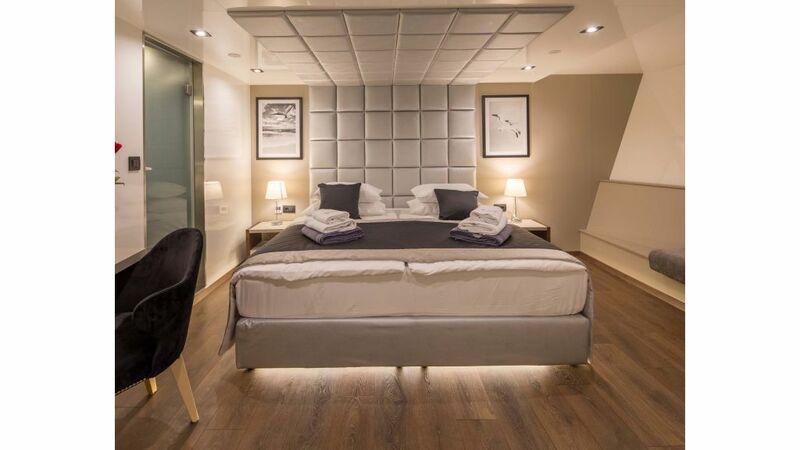 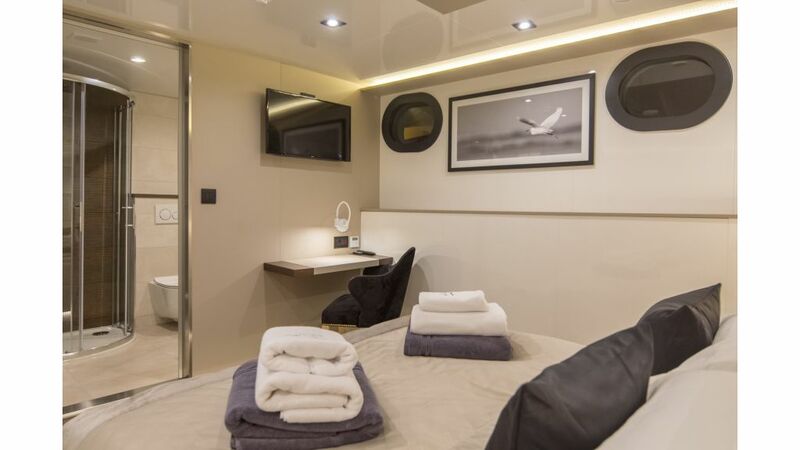 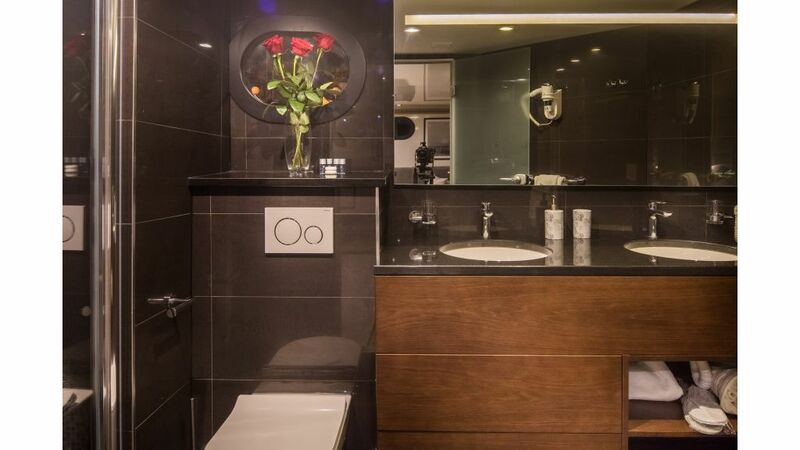 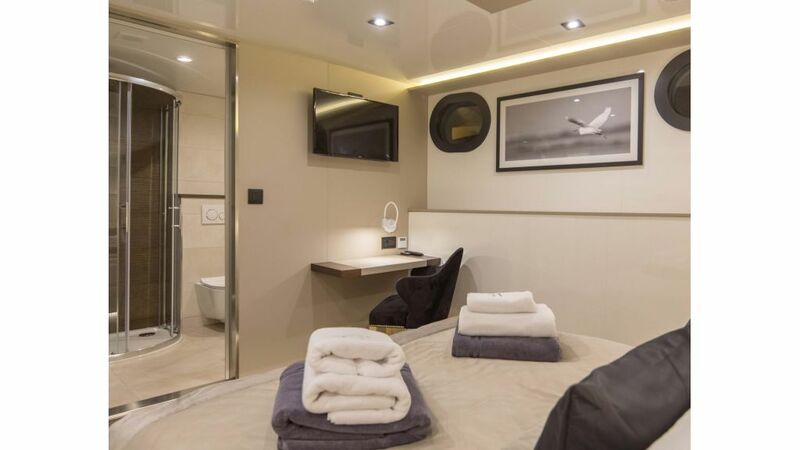 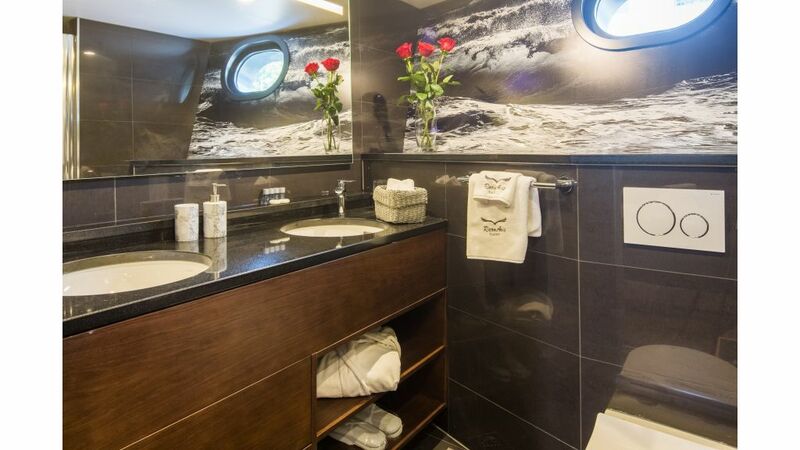 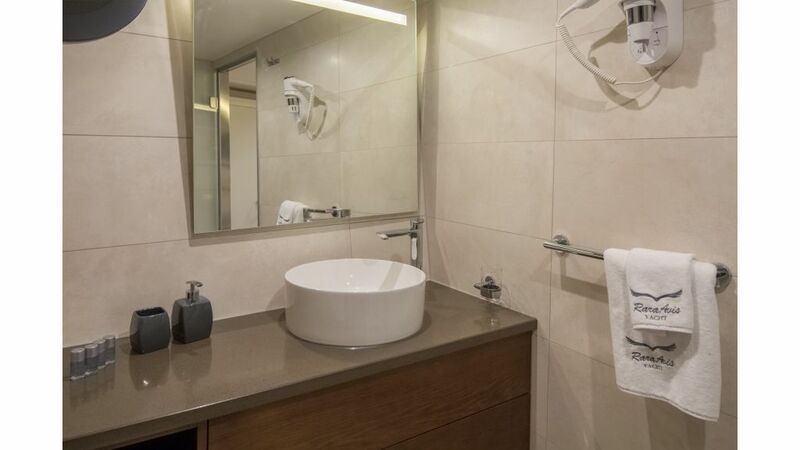 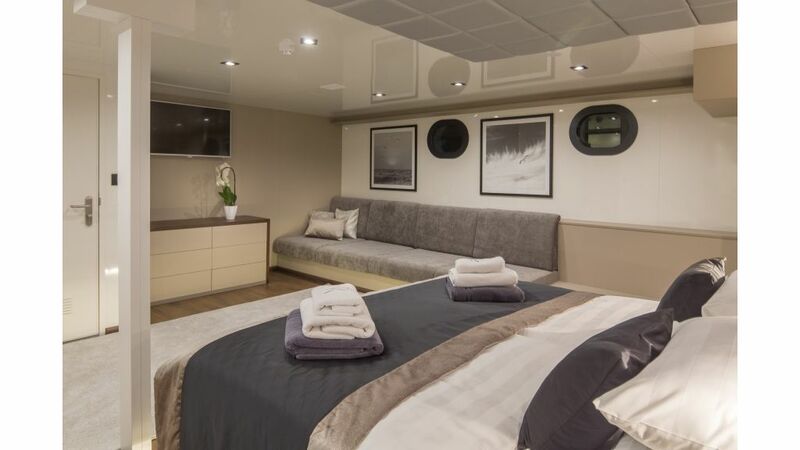 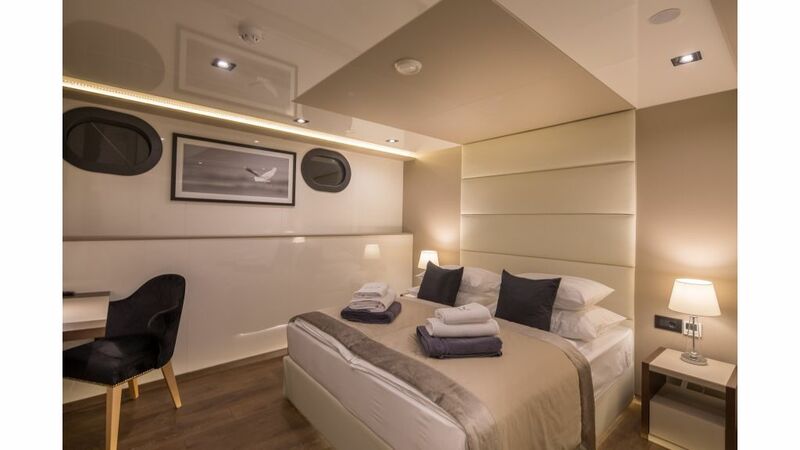 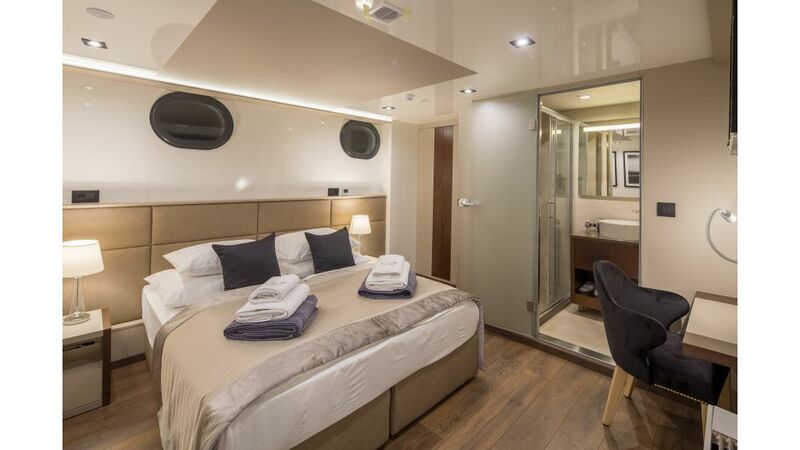 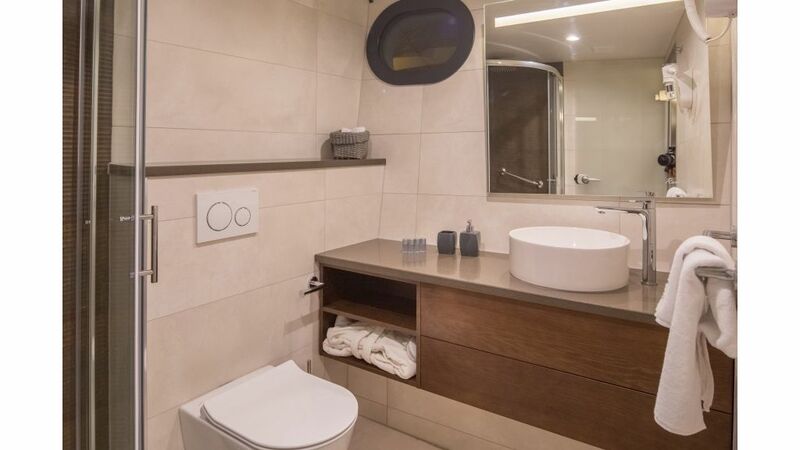 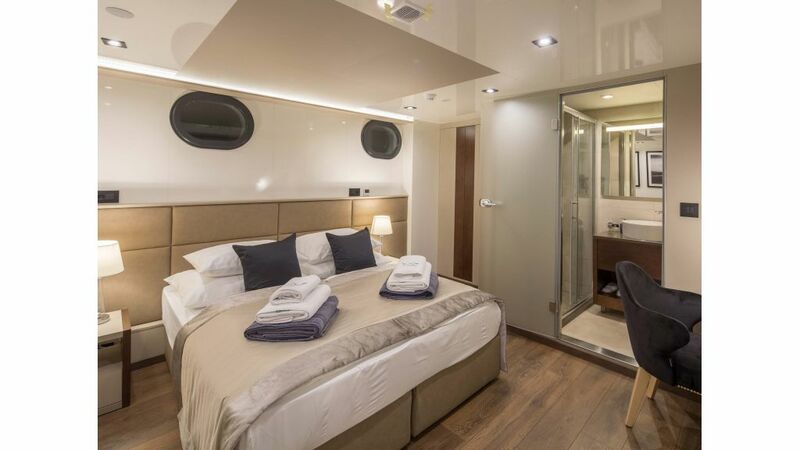 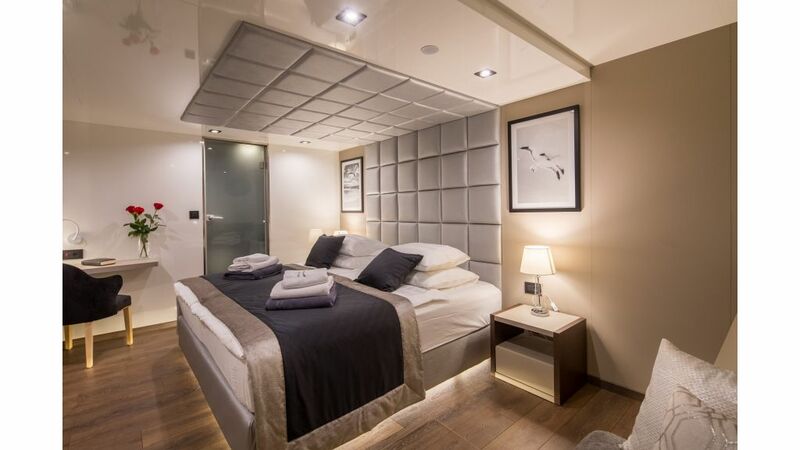 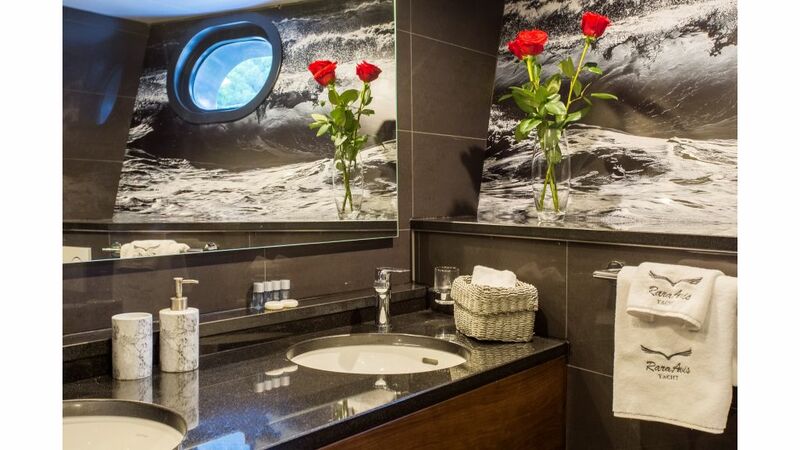 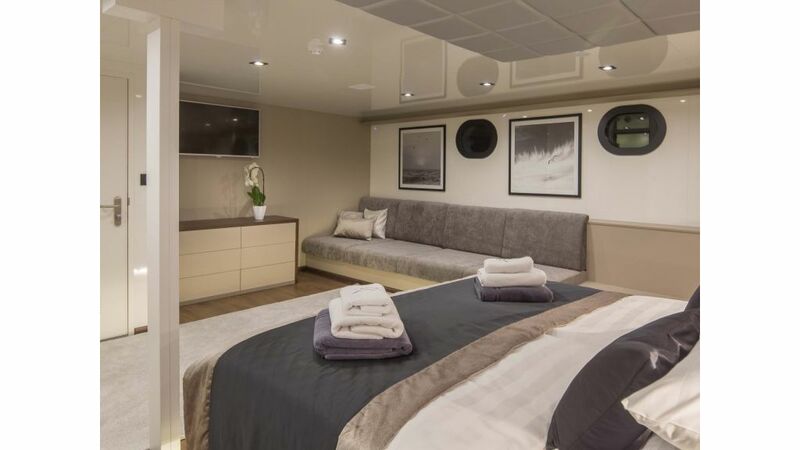 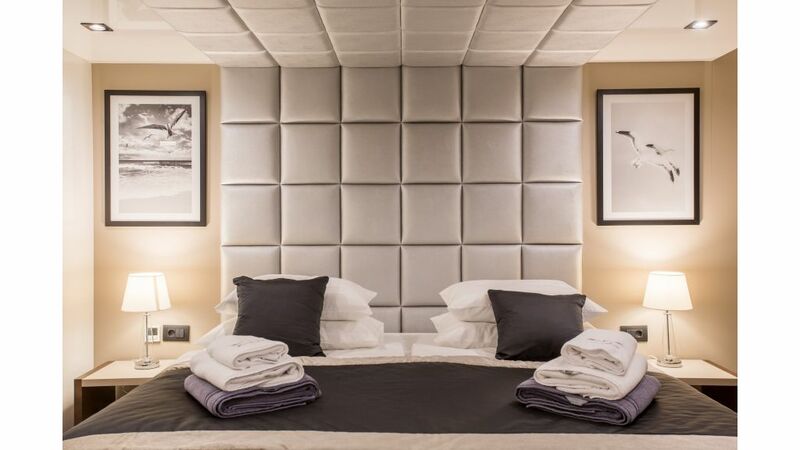 Featuring 6 cabins, accommodation during the cruise is for up to 14 passengers. 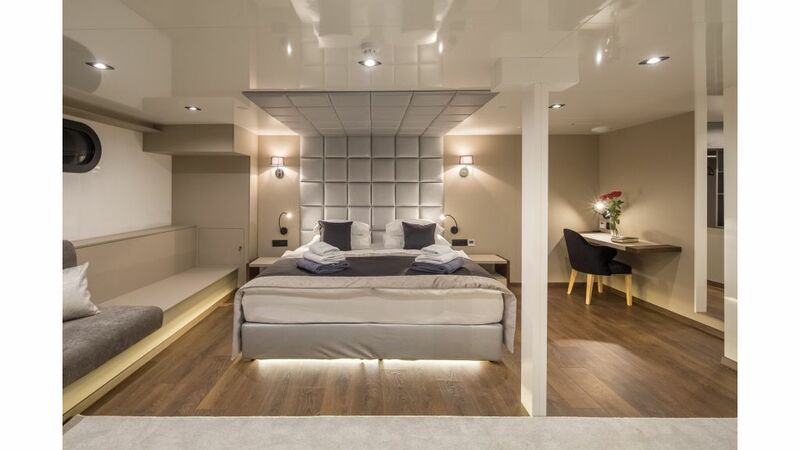 One cabin is master, one is vip, two are double and 2 twins that can be converted to doubles, adjustable to various groups of guests. 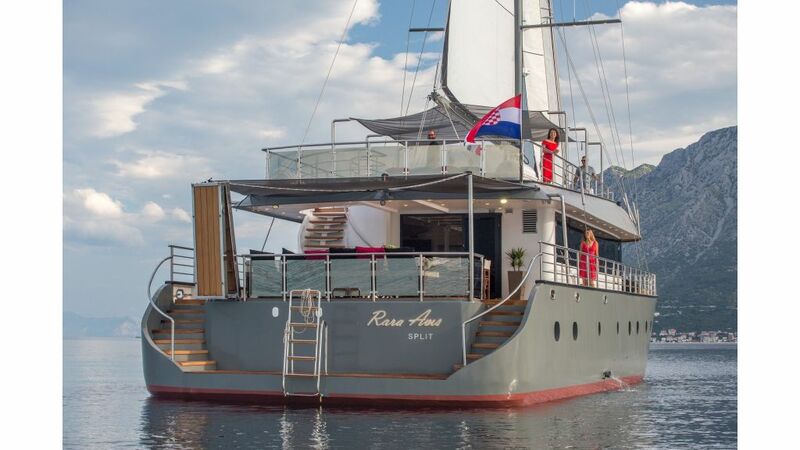 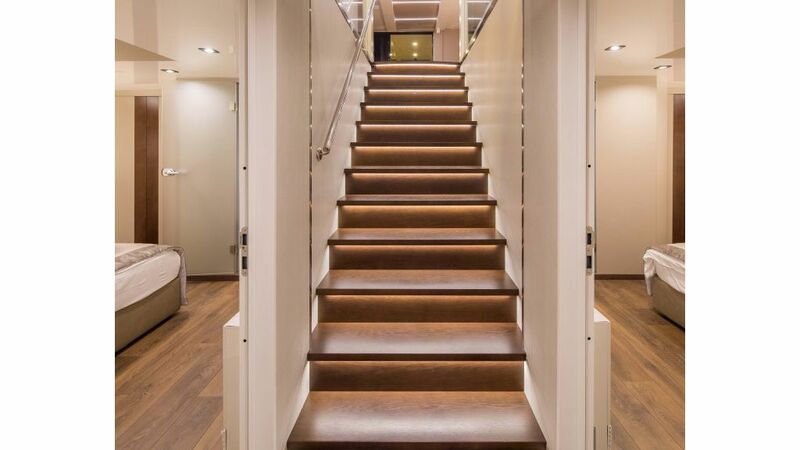 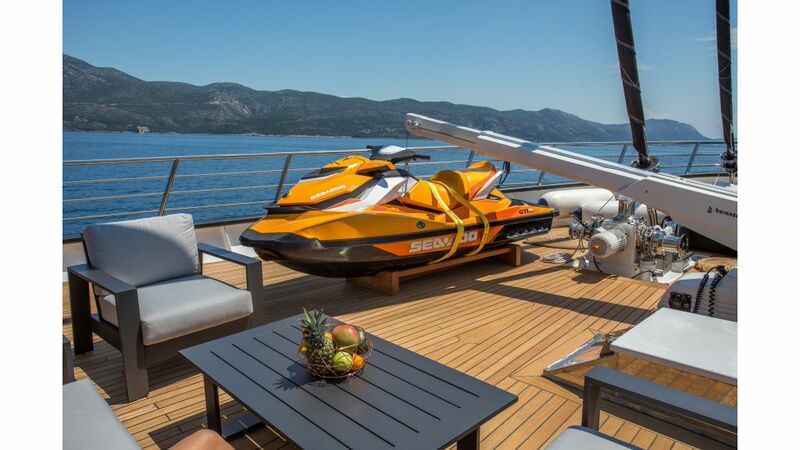 Exterior of Rara Avis simply shows how modern this yacht is – spacious aft deck with large dining table and cushioned sofa has stairs from both sides leading to the swimming platform, and huge flybridge with Jacuzzi and lounge area is icing on the cake. 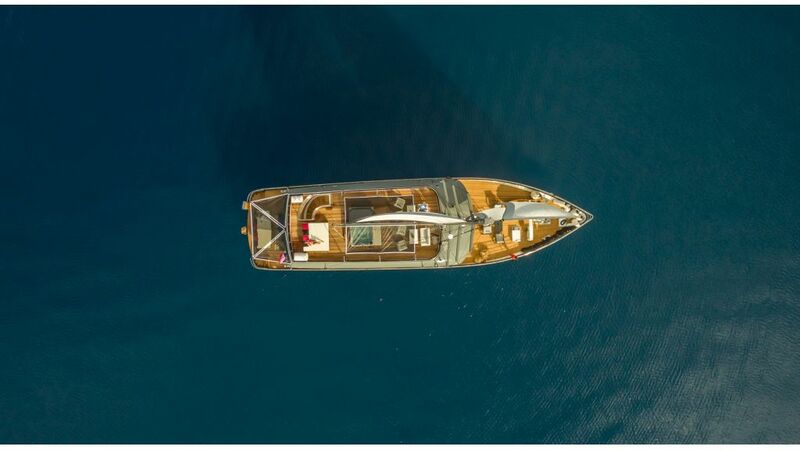 She has plethora of leisure equipment, including canoe, water ski, wave runner, snorkeling equipment, 2 x sup, wakeboard and fishing equipment. 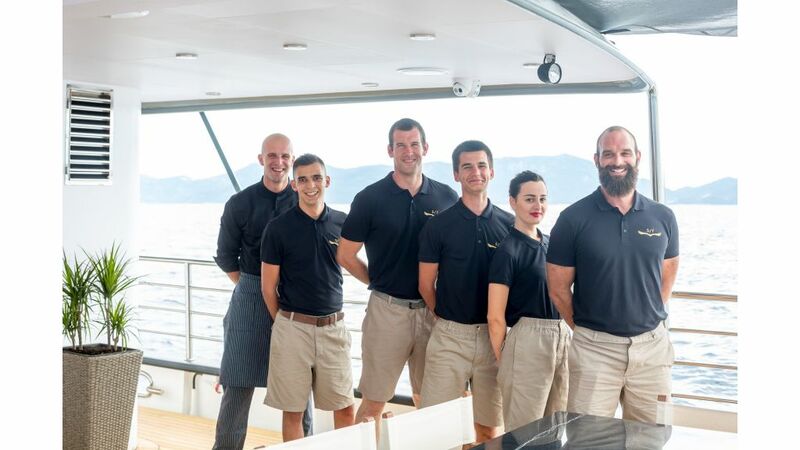 6 crew members are on board of Rara Avis, so you can be sure that the level of service will be as high as possible.